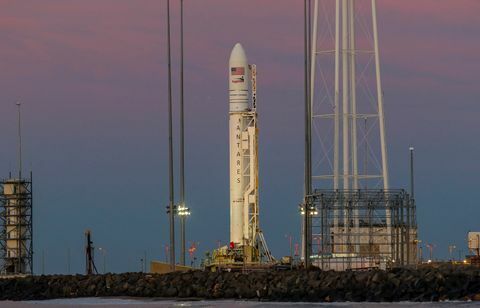 Dulles, Va. – April 16, 2019 – Northrop Grumman Corporation (NYSE: NOC) announced it is set to launch the company’s AntaresTM rocket carrying its CygnusTM cargo spacecraft to the International Space Station for NASA. 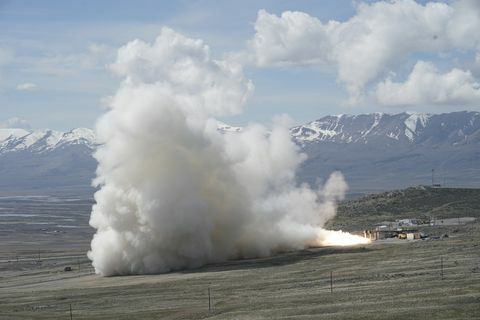 Pending completion of cargo late load, final vehicle testing and acceptable local weather conditions, the launch will take place April 17 with lift-off scheduled for 4:46 p.m. EDT from the Mid-Atlantic Regional Spaceport Pad 0A on Wallops Island, Virginia, at NASA’s Wallops Flight Facility. 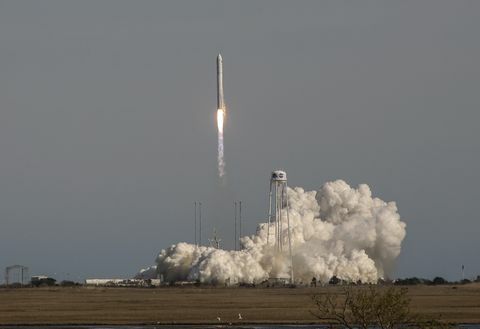 The Cygnus spacecraft is scheduled to rendezvous and berth with the station on April 19, 2019. Antares is carrying two secondary payloads on its second stage. These small satellites include one NASA-sponsored 3U CubeSat called Student Aerothermal Spectrometer Satellite of Illinois and Indiana CubeSat (SASSI2) and 60 ThinSats. SASSI was built by students attending the Universities of Indiana and Illinois. The ThinSats program is a science, technology, engineering and mathematics outreach program sponsored by the Virginia Commercial Space Flight Authority for grades 4-12. These satellites were built by students from 70 schools located in 9 states (Arizona, Connecticut, Florida, Kentucky, Maryland, North Carolina, South Carolina, Virginia, and West Virginia). After the ThinSats are deployed, students will collect and analyze data transmitted from their satellite for approximately five days before it deorbits and burns up in the atmosphere. The advanced capabilities demonstrated on this mission allow the International Space Station to maximize its potential as an orbiting laboratory and fosters a new economy in low-Earth orbit. 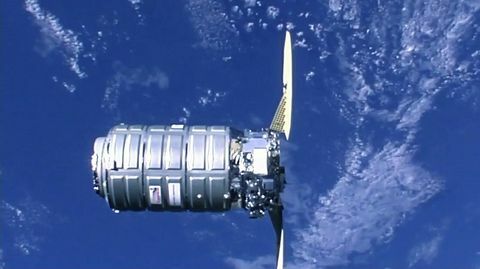 Including NG-11, Cygnus will have delivered approximately 30,000kg (66,000 lbs.) of cargo under the CRS-1 contract. Future Cygnus missions will continue to showcase innovations benefitting the space station, commercial partners and deep space missions. Live coverage of the Antares launch and Cygnus berthing with the station will be available on NASA Television at http://www.nasa.gov/live. Details about the mission can be viewed here.